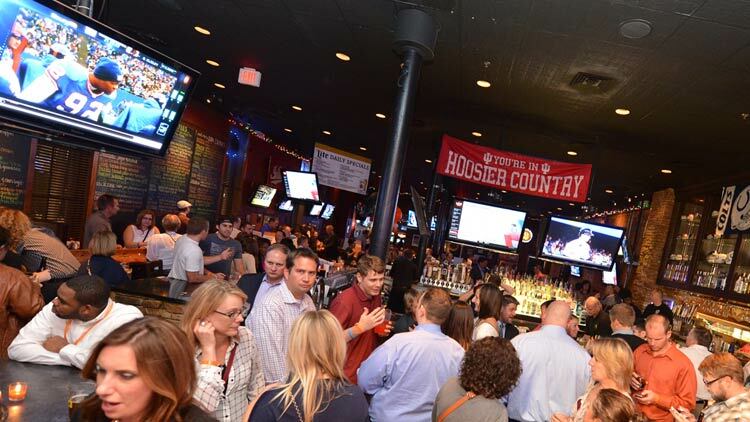 From elegant fine dining and martinis to lively sports bars and beers on tap, downtown Indy’s hotel bar scene offers convenient hotspots to continue the networking after meetings end for the day. Good times, good drinks, and good conversation are just steps away. This new pre-prohibition style bar evokes a cozy yet urban vibe and serves cocktails especially crafted in 1913 style – the year the hotel opened. 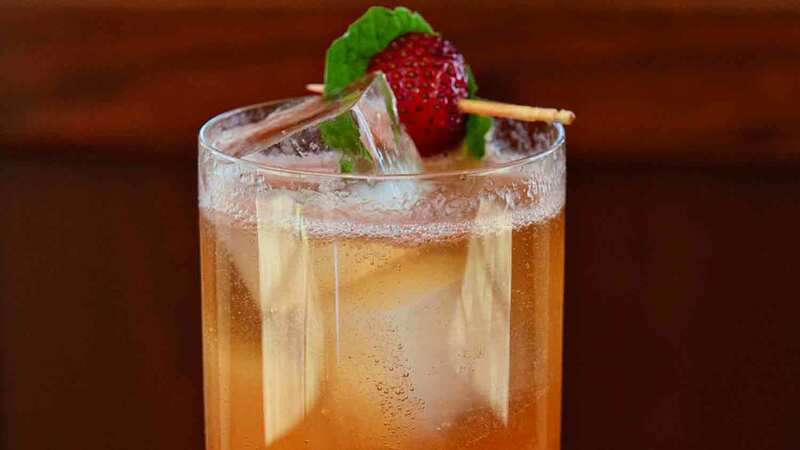 Unwind with a Tequila Maple Sour with chunks of apples, or an Amped Up Mule with a long stem of fresh rosemary. 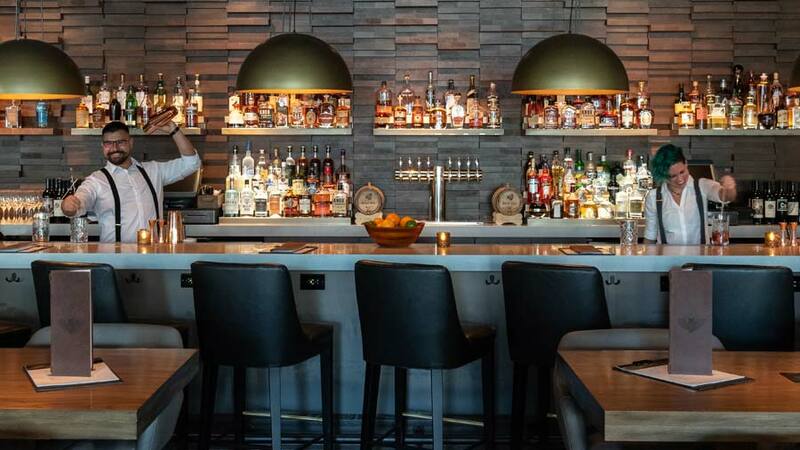 The bar’s regionally sourced small plates are just as exciting as the drinks. Selections include Indiana cheeses, salami, and prosciutto from Smoking Goose, bacon from Gunthorp Farms, and King David Dogs. Let yourself fall into the comfy red chairs and sofas while sampling wines from around the globe. 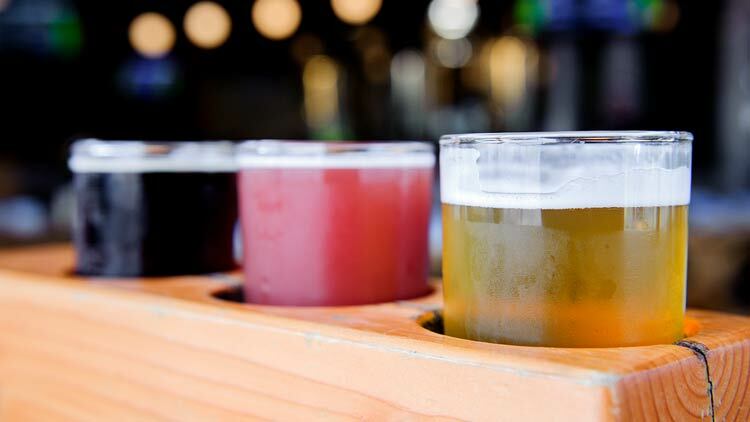 A special keycard will unlock samples in two-, four-, or six-ounce pours, and favorites are available by the glass or bottle. Wines pair well with the artisanal cheeses, flatbread pizzas, and gourmet salads on the menu. 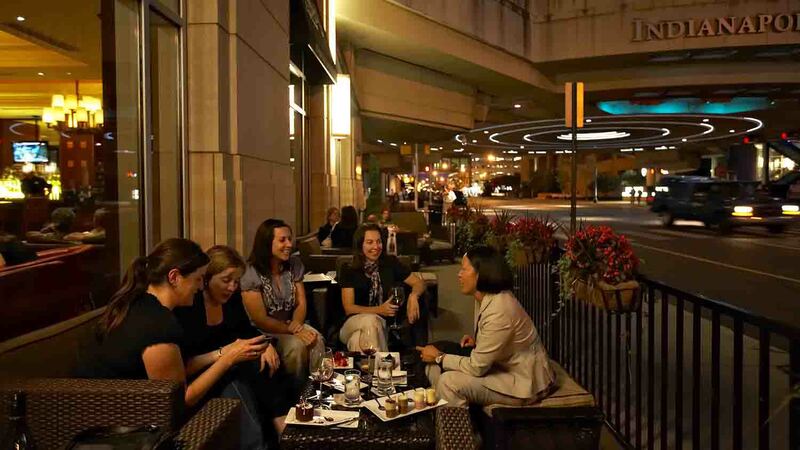 Relax on the outdoor patio space lining one of the city’s most bustling corners, or enjoy a five-course wine pairing dinner with Tastings’ own sommelier. Conner’s brings elevated comfort food, local craft beers and cocktails to a hangout-worthy spot with one of Indy’s best happy hours, featuring half of appetizers from 5-6 pm each weekday. Weekend brunches offer a wide ranging menu, from brisket hash to pecan praline French toast, and Brunch Tails to start your morning right. Try the 'Saturday Morning Cartoons' with Vanilla Bean Infused Hotel Tango and Cocoa Puff Cereal Milk. 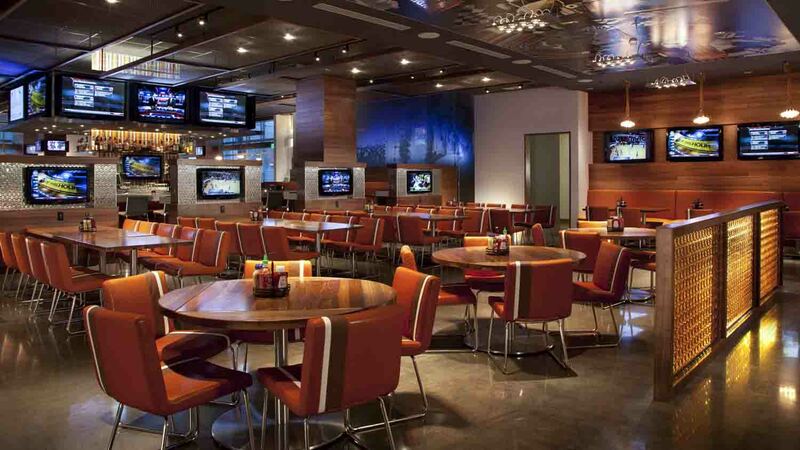 This sports bar has a casual atmosphere but upscale décor, with plenty of televisions to catch the big game. The menu is classic American fare with a beer list that features many local options. Some classics are given a twist, such as the Tandoori Grilled Chicken Lettuce Wraps and Ultimate Crab Burger. 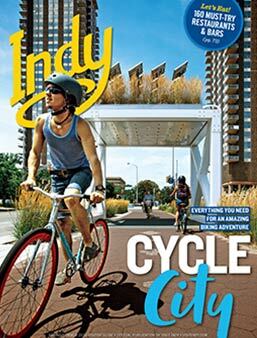 Outdoor seating on the plaza overlooks what Sports Illustrated calls best minor league ballpark in the country, the Indianapolis Indians’ Victory Field. This ultra-modern lounge is home to some of the city’s leading mixologists. 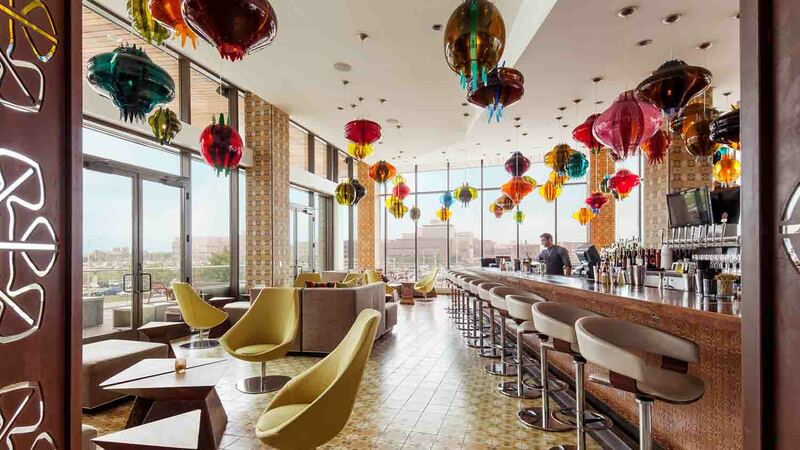 It is named after the exact plat of land the bar resides on, as denoted by famed city architect Alexander Ralston, and honors the theme with 99 colorful glass pendant lamps designed by world-renowned artist Jorge Pardo. 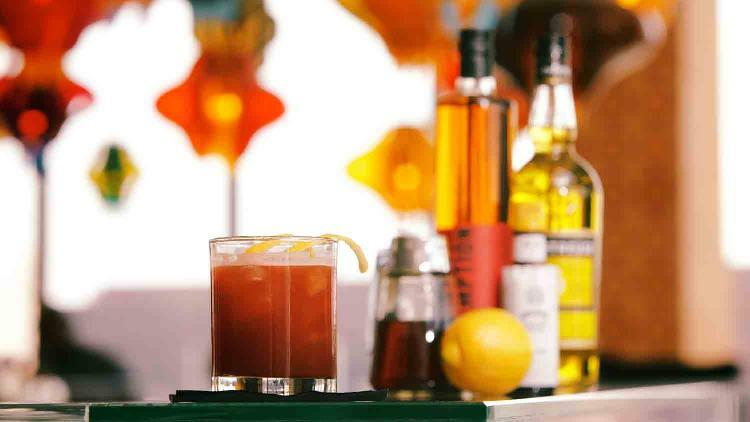 Guests will have a tough time choosing from the list of unique cocktail concoctions, but if an item on the menu doesn’t sound perfect, the mixologists will be sure to craft something special. A $12 million renovation transformed one of Indy's iconic historic properties into a world class restaurant and chic hotel. The menu for the restaurant and bar is dynamic, changing with the seasons along with the techniques used in the cooking and aging of provisions. Grape vines trimmed in the fall are used to fire winter recipes, fruit tree wood pruned in the spring is used to smoke meats for summer. Spoke & Steele’s barreled cocktails and flask program are aged in preparation of holidays and special events and are anticipated features for patrons. 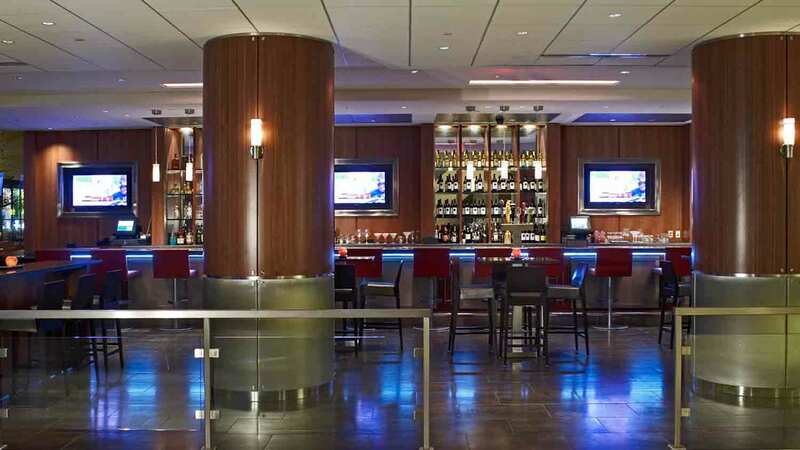 Savor upscale martinis and appetizers on the first floor of the hotel’s dramatic 21-story open lobby. 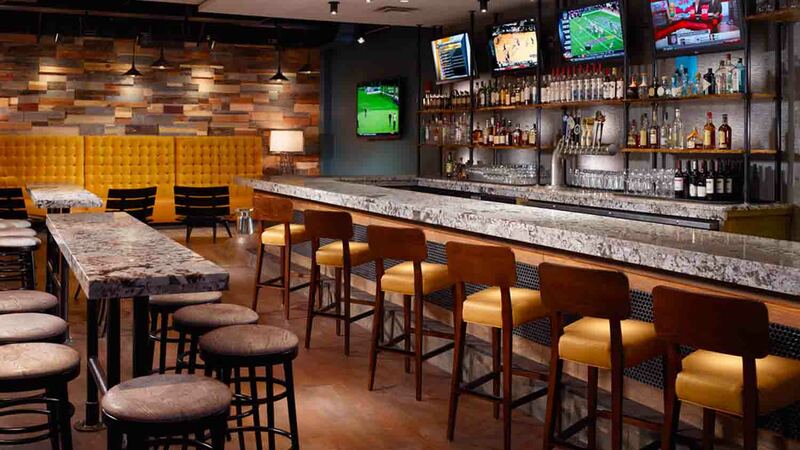 Comfortable lounge seating, plasma televisions, draft beers, wines from around the world, and a menu that follows Hyatt’s “Thoughtfully Sourced. Carefully Served.” food philosophy complete the experience. The Zero Proof menu of crafted drinks like raspberry mint lemonade and virgin sangria appeal to those who love to be social but enjoy something non-alcoholic. 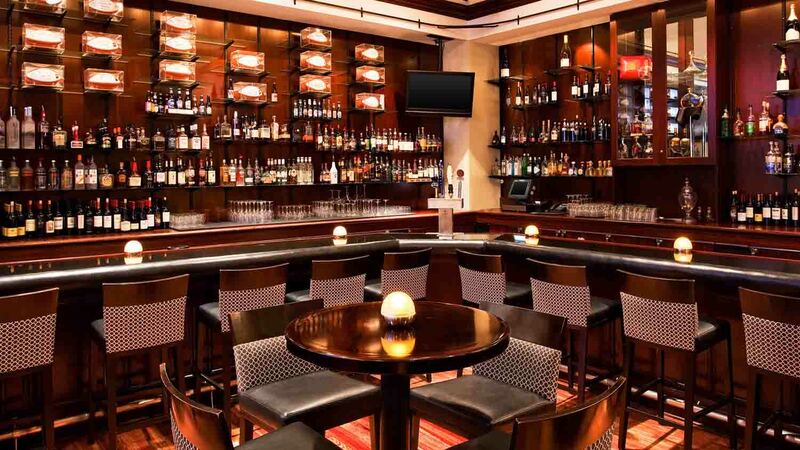 This popular spot for martinis can be found on the hotel’s second floor. Although elegant in appearance with an extensive liquor selection, the atmosphere is relaxed and comfortable, and the contemporary American cuisine is approachable. Lobster bisque can be paired with a salmon Caesar salad for something on the lighter side, or fried calamari can be a starter to a perfectly prepared filet mignon. USA Today named it the #1 Happy Hour in America, and it lives up to the recognition. 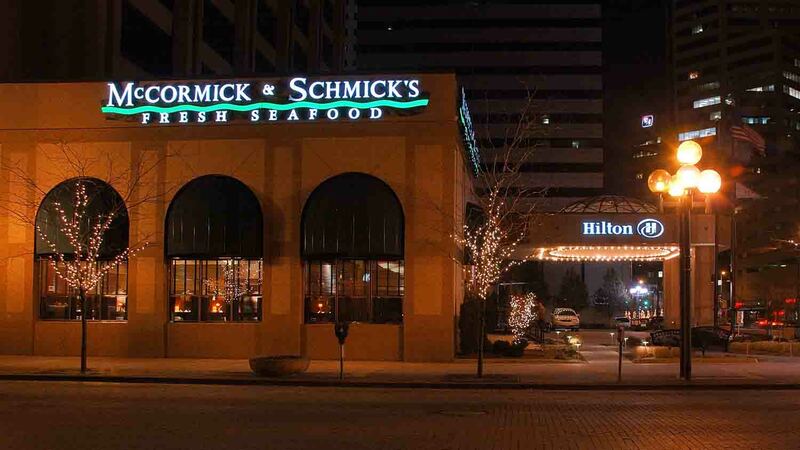 From 3:00-6:30 pm Monday-Saturday at this locale known for the freshest seafood and steaks, bar bites start at just $2.99 and include mussels, flatbread pizzas, and spinach dip, and the handmade cocktail list is sure to impress with its fresh juices and purees.